Our designs take shape through a process of earnest listening and creative collaboration. As passionate as we are about architectural design, it is the process of getting to know our clients — understanding what they value in a home and the type of environment they dream of living in — that we value most. We respect the details our clients share, and hold these friends in the highest esteem. Here, find feedback from a few of our most recent clients. 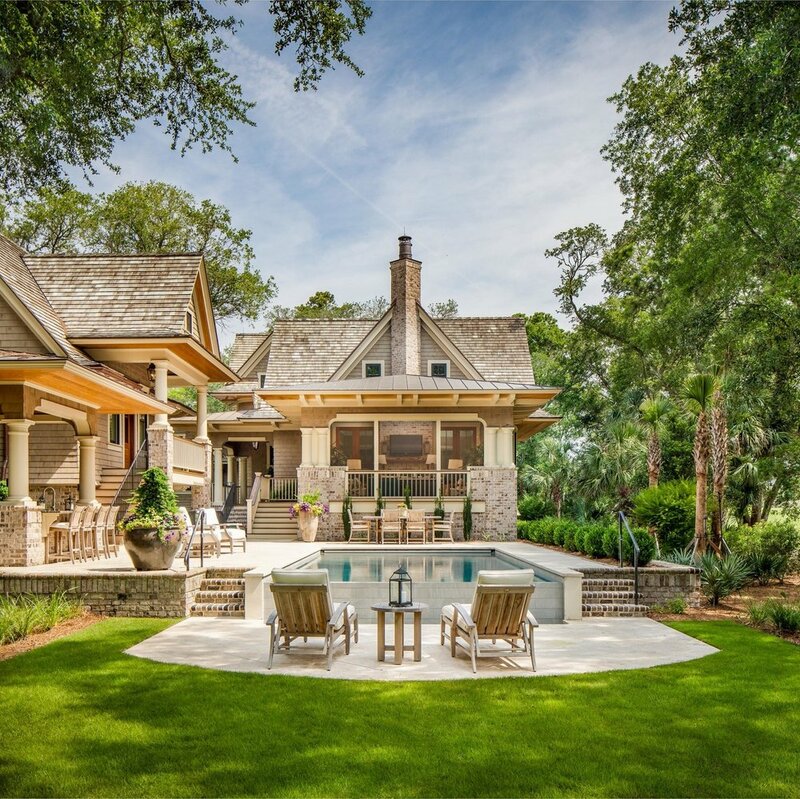 Chad did an excellent job maximizing my view sheds and maximizing the size of the home I could fit on my lot. He was an extraordinarily good listener and was patient and cooperative as I wanted to make modifications. He was also very effective in making introductions to potential general contractors and was helpful throughout the bidding process. He guided me to a competent and skilled interior designer and effectively guided the ARB maze of regulations. Kathy and I are very happy with the finished home. We had a rough vision for what we wanted to build — a modern farmhouse was our inspiration. Chad was able to articulate our vision while blending it with traditional Charles Voysey architecture. Chad’s ability to listen to and translate out thoughts and ideas to an actual architecture plan was top notch! During the process there were times where his opinion differed from ours. We very much appreciated these moments and strongly believe those discussions led to a better design. 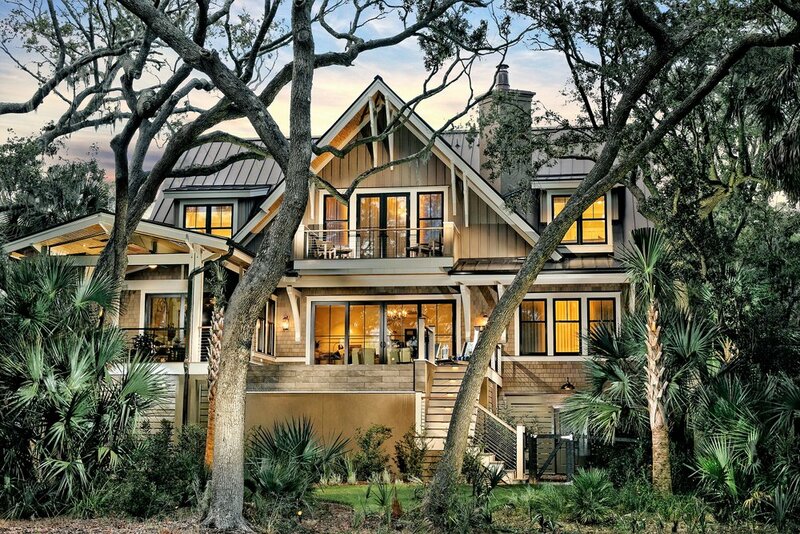 Chad faced some challenges to fit our needs into the constraints of the property (the building envelop was set back by a specimen oak tree), but he had a vision from the beginning that our home would be a “jewel box” — not the largest home on the island, but well appointed, with many unique details. There is literally beauty in any direction you cast your eye in our home thanks to Chad’s design, and we have no doubt that the architecture of our home and placement on the lot give us the best advantage possible. As this was our first time building a custom home, we had many questions and not a little bit of anxiety about the process, but Chad was very patient in answering our questions and satisfying our concerns. He was accessible, spent a lot of time on site at the right times, and helped us make some critical decisions as the build process unfolded. National Association of Home Builders' Best in American Living Awards 2017 | Silver place among One-of-a-Kind Custom or Spec Home 3,501 - 4,500 sq. 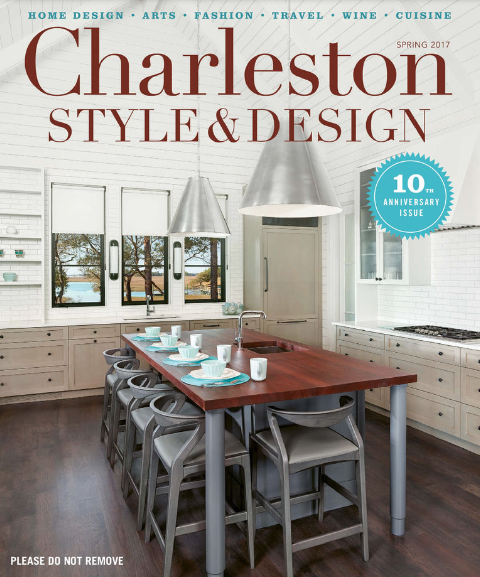 ft. for "A Jewel in Kiawah's Maritime Forest"
Charleston Style + Design's spring 2017 issue / "On the Water"